San Francisco-based start-up Notion has high hopes for its note taking app, a multi-purpose powerhouse. Notion is gunning for popular services like Evernote, Trello, Google Docs and Sheets. 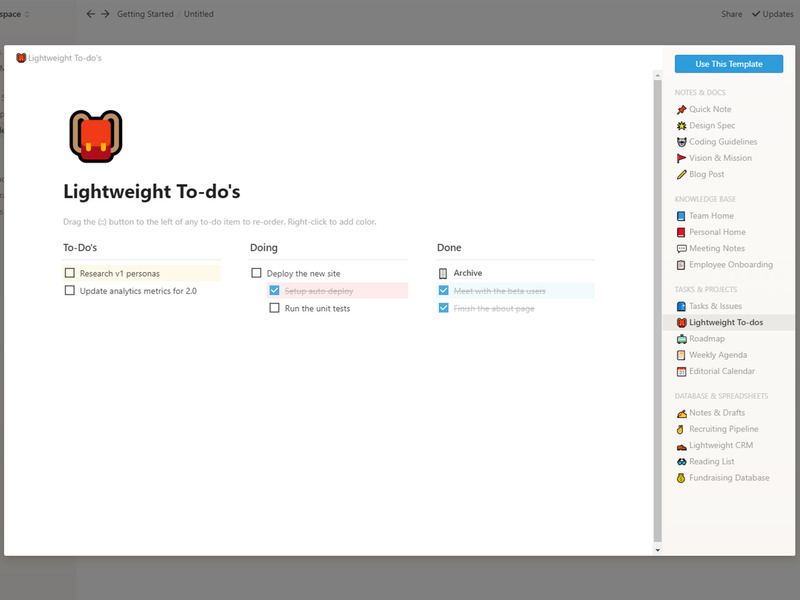 The app covers the basics: to-do lists, blank spaces for taking notes and cloud sync. But it also features charts, tables, calendars and Kanban boards. Notion started as a multi-tool of sorts for businesses. The website touts “four tools in one,” promising to save workers from an abundance of tabs. This is something number of people can get behind. Personally, I have at least four tabs open for critical tools I use every day. Usually a Slack tab for communicating, a Trello tab for team organization, a Google Doc for referencing important info and a tab where I’m writing. Notion could pack most of that into one place and features tight integration for the things it can’t — like Slack. Getting started is a fairly simple process. There’s a small introductory section and a number of example templates you can sift through to see the app’s potential. That’s about as much handholding as the app gives. Blocks are the different elements you can add to a page. These take on almost any form — a document, a task, an embedded map. Additionally, blocks can dragged and dropped, making for some interesting interactivity. 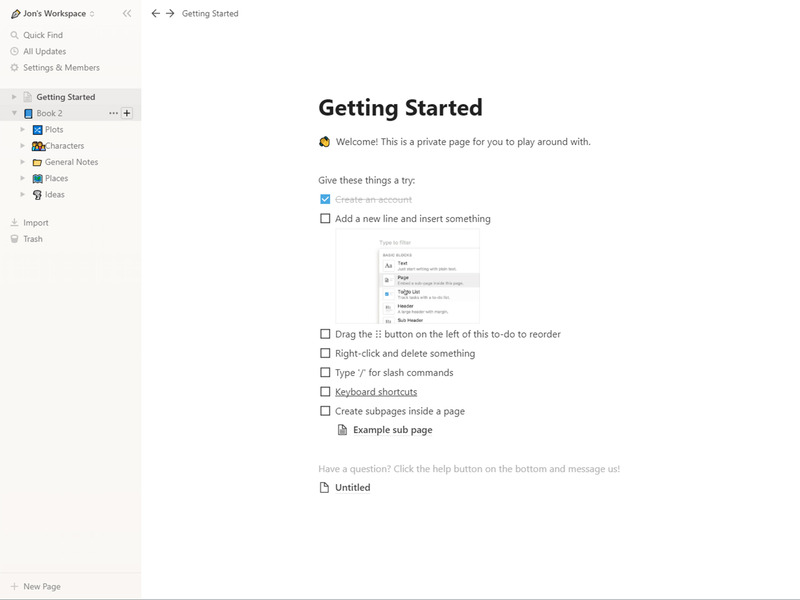 For example, users can create an Archive page nested inside a to-do list. When they finish an item, users can drag it to the Archive to store it. However, all this functionality comes at a price. Notion isn’t as quick or easy as the default notes app on your device. New users can find themselves overwhelmed by the options. The app also includes a number of keyboard shortcuts to make it easier. Unfortunately, you need to learn those options first. 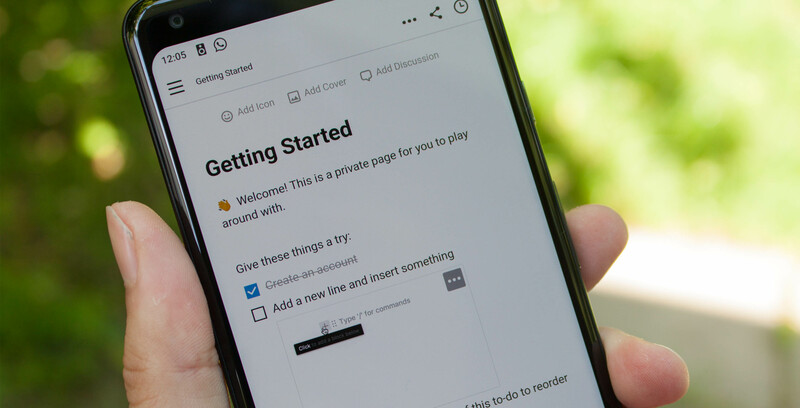 Notion has a free tier that offers users unlimited Workspaces and members. However, it caps users at 1,000 blocks. The free tier also has a five megabyte upload limit for things like photos and documents. Additionally the app has a Personal and a Team subscription option. Personal restricts Workspaces to one member, but removes the storage and upload limits. It also provides priority support and advanced permission controls for sharing documents. It clocks in at $5 USD a month (or a discounted $48 USD yearly subscription). The Team option also gives everything in Personal plus unlimited members and administrative tools for $10 USD a month (or a discounted $96 per year). Overall, Notion is a well designed app for iOS, Android and desktop. It’s a powerful set of tools compacted into a simple interface, but its power is also its biggest drawback.